I guess it keeps him from going elsewhere until they sort out what they’re doing. Would any other broadcaster really want Sam Newman though? The AFL Footy Shows time has come to an end. Nine should be spending the money on another Melbourne based Project. You’d have to imagine that 2019 will most likely be the last year for the Thursday night version of The AFL Footy Show. Something on Foxtel? No doubt Newman would think he has some value to a broadcaster. I hear Outsiders has a spot open and it wouldn’t even need to be a gimmick for John, given his political views are already out there. Perhaps hanging onto him for The Sunday Footy Show. 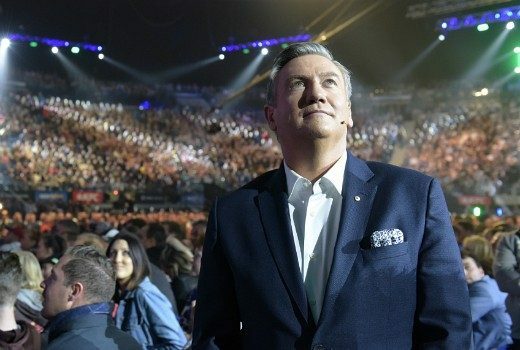 Herald Sun is reporting The Footy Show will return with only 4 or 5 special episodes hosted by Eddie and Sam in 2019. There will be an unrelated weekly football panel show with new talent. Peter Ford is reporting that Sam Newman has signed a new ‘multi year’ contract with 9. Footy Classified returns in same Monday night format. Midweek panel show (name to be announced). Focusing on football previews, new hosts and player talent to be announced. That’s something he can actually do and manage not to be a complete idiot. Eddie, Sam move to AFL Footy Show “specials” in 2019. A revamped AFL show is confirmed for 2019 but Eddie & Sam are out as hosts. I assume it means extending it to 2 hours plus, leading into Suncorp Super Netball match of the day, bumping World Surf League highlights. Aside from cancelling it entirely, moving to 4-5 specials a year (say…a start of season program and a finals series) would probably be the best thing Nine can do for The AFL Footy Show. Yep, he’s actually quite good if it’s an interviewee he’s interested in. If they can keep him away from commenting on politics (I think most people couldn’t care less about other’s political thoughts, it’s merely the ‘extremes’ that are vocal) even better. Footy Show is dead, I wonder bother with the 4 or 5 specials. The Sunday Footy Show could be 2 hours long, as the NRL version has been two hours long for some years now, usually leading into the netball. Could work for the afl version too. Having 4-5 specials for the prinetime version is a good idea. Herald Sun is reporting that Anthony “Lehmo” Lehmann, Nine News reporter Seb Costello and even Gold 104.3 breakfast host Christian O’Connell have been linked to the new show, which will be made by Eddie McGuire’s production company JAM TV. Lehmo was part of Ten’s Before the Game before it was axed. Former Spicks and Specks producer Anthony Watt is the executive producer of the new Thursday show. EDIT: Brendan Fevola has been confirmed for the new footy show. Herald Sun reports Nine is set to launch a new player-driven AFL show, the brainchild of Crocmedia boss and former Footy Show host Craig Hutchison. Sam McClure, who recently quit Seven after declining a full time reporting role at its Melbourne newsroom, could be the new host. 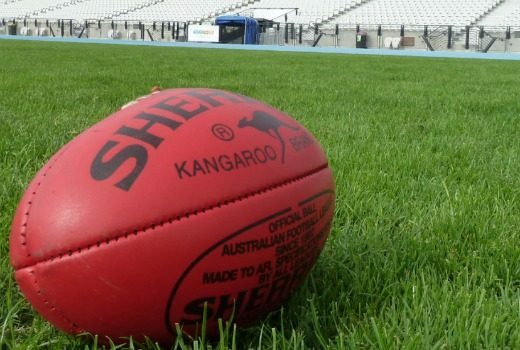 Crocmedia has been in discussions with Nine around a new AFL format. Herald Sun has revealed the line-up on the new AFL show: Anthony “Lehmo” Lehmann, Brendan Fevola, Dylan Alcott and an as-yet-unknown female sporting identity. A fifth panel member is expected to rotate each week. Lehmo will continue his role from Before the Game while it’s great to see Alcott getting more TV exposure.